The MX-P delivers the smoothest true-to-life, high-quality image with no delay. It is the first document camera on the market capable of 16x digital zoom at 4K resolution, capturing true 4K at 30fps or full HD at 60fps. With an output terminal offering HDMI, RGB, and USB Super Speed 3.0, MX-P seamlessly connects to a wide array of devices. Weighing only 1.2lbs, the MX-P’s flexible structure and easy setup make it the perfect solution for presentations on the go. The MX-P comes with Super Speed USB 3.0, HDMI, and RGB/VGA output options to connect seamlessly to a wide variety of devices. Weighing only 1.2lbs, the MX-P is completely portable - making it perfect to take with you for on-the-go presentations. 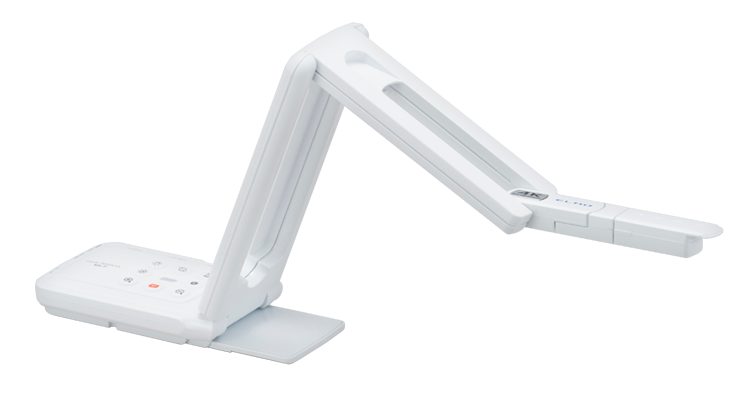 The MX-P is equipped to twist, bend, and fold, making it one of the most flexible document cameras in the ELMO lineup. The MX-P can fold up as small as many smartphones. 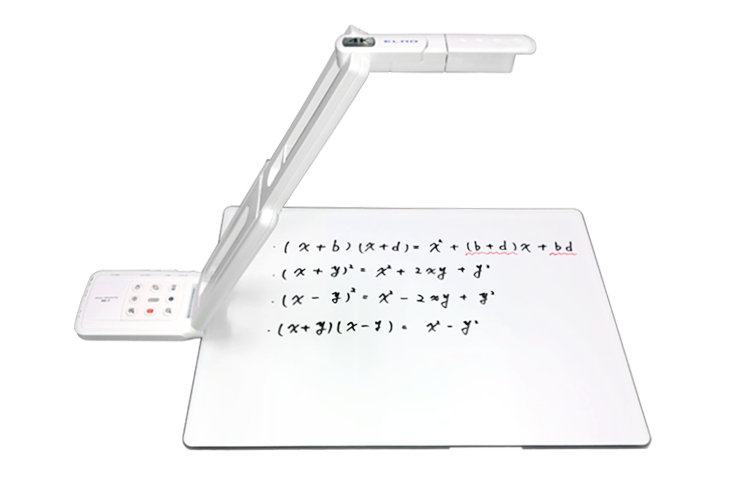 Pair with the MX Writing Board for dry marker surface during presentations.